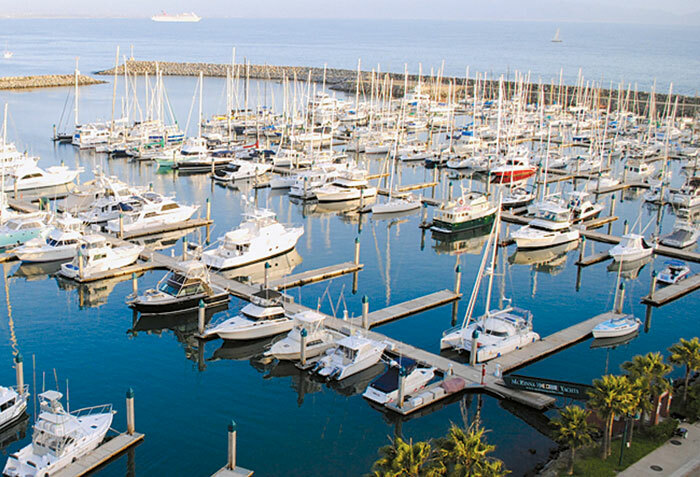 NEWPORT BEACH — The Fleet Underway to Baja Rally — better known as the FUBAR Odyssey — a Southern California-to-Mexico powerboat cruising rally that takes place every two years, will be hosted this year by Newport Harbor Yacht Club. Starting in San Diego on Nov. 7, 40 powerboats and 150 boaters will make a 1,000-mile cruise, stopping in Bahia Tortugas (Turtle Bay), Bahia Magdalena (Magdalena Bay), San Jose del Cabo and La Paz — with onshore parties, ecological tours, golf and fishing tournaments, and wine tours scheduled along the way. “It’s meant to be a pretty fun event,” said Chris Murray, Newport Harbor Yacht Club Cruising Committee chairman and FUBAR co-chairman. Participating boats must pass a comprehensive pre-event safety inspection and must have a minimum range of 450 miles at 8.5 knots speed. The final destination is the Costa Baja Resort in La Paz, where the final night’s gala will be hosted on Nov. 19. There are two goals to this trip. The first, Murray said, is to have a great cruise. “It’s a way to get boaters who are inexperienced (in long-range cruising) to go to Mexico — in a group setting with experienced boaters who have been there,” he said. The second goal is to raise as much money as possible for Newport Harbor YC Junior programs. The registration fee is $825, with proceeds going to the club’s youth sailing foundation and its other juniors programs. Interested boaters can get more information online at FUBAR2013.com. Thursday, Nov. 7: Arrive at Ensenada; refuel; finalize Mexico documentation and port clearance. Saturday, Nov. 9: Depart Ensenada and cruise to Turtle Bay. Sunday, Nov. 10: Arrive at Turtle Bay and refuel. Tuesday, Nov. 12: Depart Turtle Bay and cruise to Magdalena Bay. Wednesday, Nov. 13: Arrive at Magdalena Bay. Friday, Nov. 15: Depart Magdalena Bay and cruise to San Jose Del Cabo Marina. Saturday, Nov. 16: Arrive at San Jose Del Cabo marina and refuel. Tuesday, Nov. 19: Depart San Jose Del Cabo marina and arrive at La Paz.